The Terlingua burger at Hopdoddy Burger Bar. Photo courtesy of Houston Business Journal. If anybody’s looking for a good burger, they don’t have to search far. 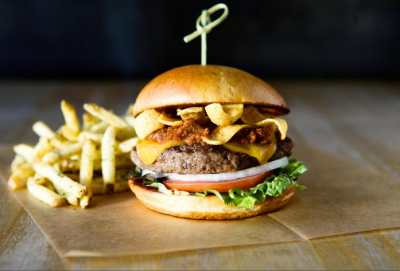 Hopdoddy Burger Bar is home to a montage of delicious and inexpensive burgers that range from the simple classic burger to the fiery El Diablo burger for an extra kick. In addition, they’re also famous for their sharable fries that come in a big bowl so you can share with two or more people. They come in a range of unique flavors like the queso fries for all the cheese lovers, or hot honey & sage fries for the people that are more on the sweet side. There are many other delectable items to discover, so people should come down and enjoy a burger that will leave them wanting more. The S’more crepe. Photo courtesy of Trip Advisor. When sweet mixes with savory what can go wrong? 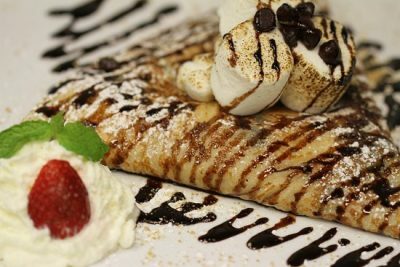 CoCo’s Crepes is known for its amazing crepes that come in many styles and flavors. On the sweet side, people can purchase crepes with cinnamon & sugar, s’mores, Nutella, or chocolate raspberry. On the savory side, people can mix and match crepes with chicken, spinach, smoked salmon, and roasted vegetables. Furthermore, they’re famous for their delicious espressos with macchiato or con panna, teas like organic chai tea or loose leaf tea, and most importantly, their fresh squeezed lemonade. A pepperoni pizza from Grimaldi’s. Photo courtesy of Johnson Country Lifestyle. Pizza is the way to the person’s heart. Grimaldi’s Pizzeria has been around for 100 years popping out delicious pizza’s that has an assortment of different toppings like the artichoke hearts, jalapenos, ricotta cheese, pepperoni, sun-dried tomatoes, bacon, mozzarella cheese, and many more. They also are known for their famous desserts, ranging from Oreo cookie cheesecake to the Grimaldi’s Famous Cannoli. 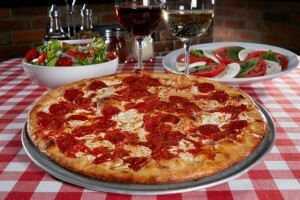 Their pizzas are also very inexpensive, From a personal pizza ($14), to a small ($19), to the largest ($21). Anybody can enjoy a slice with their family. 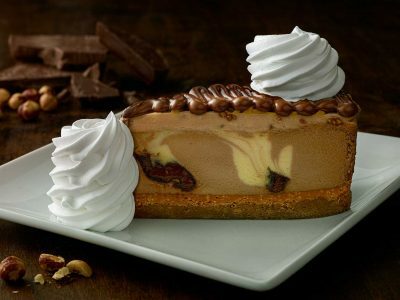 The Chocolate Hazelnut Crunch Cheesecake. Photo courtesy of The Cheesecake Factory. Not only are they known for the cheesecake, but they are home to a multitude of dishes and cuisines that anyone’s bound to love. Furthermore, they have over 250 dishes that include pasta, burgers, sandwiches, steaks, and seafood. They even have healthier options like salads, avocado toast, veggie burgers, and more. Their famous cheesecakes come in 36 different flavors from pumpkin to lemon raspberry, and they even offer a low carb one. Their price range differs depending on the meal. In addition, if anybody wants a casual brunch, or take significant other out for a fancy dinner, they can comply with both and make them feel right at home. The Los Cucos family appetizer. Photo courtesy of Los Cucos. If anybody’s looking for some fresh, hot Mexican food, Los Cucos is the way to go. Some of their traditional dishes include chile relleno which is a stuffed poblano pepper, or their chimichanga. They also have healthier choices, like the spinach enchiladas, the super salad bowl, and the grilled chicken & vegetable tacos. 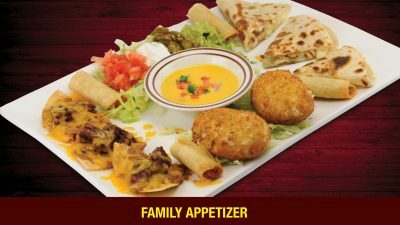 People can also get mixed plates which they can mix with things like, fajitas, enchiladas, and tacos. There are different sides like rice, chile con queso, beans, pico de gallo, and much more.